Why doesnt' FML inject mods once and then only re-injects if there are changes in mods? It'd be easier and faster to play bigger modpacks. Please clarify what you mean by "injection". Well.. 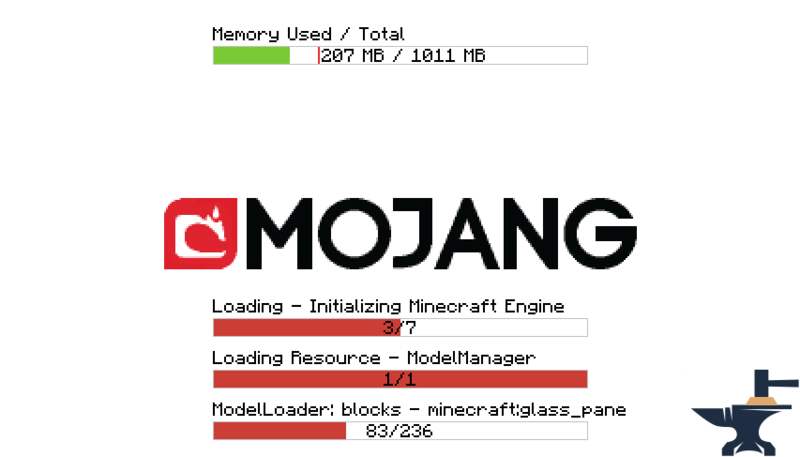 Isn't Forge injecting minecraft.jar at every start? Forge is not "injecting minecraft.jar". 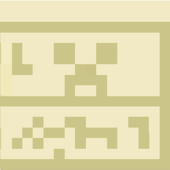 The game code is transformed on the fly as it is loaded from disk. That is not the slow part of starting up Minecraft. The slow part is (among other things) the model creating, which just takes a long time with a lot of mods. But why is it creating models at every launch? Couldn't you just store them? Not necessarily. There is no easy way for Forge to know whether something in a mod has changed that would change the generated model to change. Has this config file you changed caused the Model to change? We don't know. Is this Model download from an URL which has a different model every time? We don't know. All this prevents from Forge "just storing models". As very often in Computer Science the obvious "just do X" answer is sadly not correct. Ok, I was wrong and I'm sorry. Actually, you are not wrong. I know this is a necropost, but the reason this is not wrong, is because instead of loading all the mods into the RAM, using up CPU power (older machines don't have a lot, so it takes a long time to load mods sometimes), Forge can do a 1 time load onto the hard drive, and leave it like that, and keep an MD5 checksum of every mod, and recheck the MD5 checksum every launch, and if it remains the same, just allow the game to load as NORMAL. This is the only way I can really think of, (yes, I know you can also do an SHA256 and SHA1 checksum, but MD5 is faster to calculate) and if anyone has more idea's of ways, or a way to prove me wrong, please reply to this thread. Thank you, goodbye. First of all, thank you for replying to this post 😁. I was thinking of the same thing, with the hashing and storing everything on the HDD, but I think that the problem with mod updates isa great one, I know you could only rebuild it when mods updare, but still... Thing that I think would be the most trouble, would have to be the different mod distinction, as some mods inject directly into the code and it's hard for Forge to determine which mod the change is coming from. Have you looked at how mod loading works? Probably not, because this is not feasible. I think your best shot at skipping the loading screen would be to load Minecraft in a Virtual Machine and saving it's state to disk without quitting Minecraft, instead of shutting it down. This makes sense, as Java uses it's own Virtual Machine, called the JVM. Running another JVM inside the main JVM via the framework itself will allow us to run Minecraft once, and then save the state. Then we can launch that machine every time the game starts, but check the MD5 hash of mods and files before starting. This speeds up a LOT. Please clarify how I was rude? No! Don't do this. You must not be accessing the world in your model, since the model may be rendered on a different thread, so you will cause random and seemingly inexplicable crashes. Any information necessary for the model to render must be stored in the IBlockState. What are you trying to achieve? Why do you need access to this class? The game crashed whilst exception in server tick loop Error: java.lang.IllegalArgumentException: Duplicate id value for 23! 1.7.10 and older are no longer supported on this forum due to their age. Update to a modern version of Minecraft to receive support. You have been told this already, consider this a warning. This is a paste of all the rude things you have said, PLEASE take it down. It is very selfish. None of your quoted posts were rude or selfish. You are joking. They are all very rude. This is getting very off topic. If you wish to continue this discussion either PM me or make a new thread in Off-Topic if you think it should be public. Okay. Lets get back on topic. With a VM it is possible however. When the creator of this thread comes back online, I'm going to start up Eclipse and try out my thoughts. VMs have a performance overhead, especially on hardware that does not natively support it. Passing through a graphics card to the VM is a complicated process requiring expensive software and a specialized host OS. It also makes the card unavailable to the host. You now have two OSs you need to keep up to date (your main OS and the one in the VM). This is just what I can come up with off the top of my head. Feel free to do this for your own use, but this is not something in the scope of Forge, imho. Updates are not required, as what I am talking about is different. If you intergrate a VM for forge to load mods, and then pass the session over to the JVM on the host computer, it is possible. I have started to experiment in Eclipse, and I have to say I am VERY close to getting this core-mod to work. Considering the standard VM has no "take over this session" functionality that I am aware of I will be very keen on seeing your solution. I have actually done it. This core-mod still isn't ready for production, but it works PERFECTLY for me. What I have done is created a Linux distro that contains a very simple architecture (just Java on Arch Linux) which will boot up at Minecraft's start, and then reload mods to the drive if the MD5 hash of any files have changed (apart from the Minecraft settings and Optifine settings). Then, it will hibernate the VM, and then put the session onto a container on the main PC, which will put you on a loading screen overlaying the title screen, which will then take the session out of the container, and close Minecraft, replacing it with the loaded modded version. Then it will close the container, and leave the VM hibernated. This is a very complicated method, and if you manually delete the VM files from the .minecraft\config\GameGlitzVM\ folder, it will have to load each mod again, resulting in no difference of load times. However, when you close the game, shutdown your computer, leave it for 2 mins, and boot it back up, then launch Minecraft, it will automatically restore the session into a container, then onto the host computer. I am now working on a re-auth system to auth you to the official Minecraft servers again, so that you can play on servers (else what is the use). I have seen a mod called ReAuth that does what I need, but it requires you to enter your account details, so I will find a way to use the account that the launcher used to start the game. Please reply with any way to help me reauth. Call me rude again, but until you actually show some code of this working, I am very skeptical.